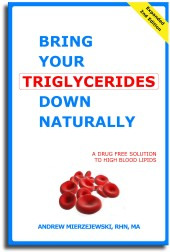 Slow-Motion Exercise to Lower High Triglycerides - Full of Health Inc.
By clicking on any of the "Add to Cart" buttons, you are NOT obliged to purchase anything online. Even if you complete a transaction, you can always CANCEL it within 3 hours. By clicking on the following "Shopping Cart" buttons you are NOT obliged to purchase anything online. Even if you complete a transaction, you can always CANCEL it within 3 hours.